When cold weather arrives, North Carolina homeowners can count on heating oil to keep their homes safe and warm. Ormond Energy is pleased to offer dependable heating oil delivery to customers living within our service area of Johnston County and surrounding towns. It is important to understand the many benefits of heating your home with oil. See why so many homeowners choose this efficient energy source year after year. Heating oil is an environmentally friendly energy option for homeowners and business owners alike. Today, heating oil burns cleaner than ever. Over the last four decades total greenhouse gas emissions from the fuel have been cut by approximately 33%. Heating oil is naturally non-explosive. In the event of a system malfunction, it will exhibit obvious signs like soot and smoke so that you can alert your heating oil provider immediately. The likelihood of an issue is significantly reduced with proper maintenance. If you’re looking for cost savings and efficiency, heating oil is the fuel for you. You can save up to 30% on fuel bills when you upgrade to high-efficiency heating equipment. Additionally, a simple system tune-up can cut costs even further. Choose a local heating oil provider that you can count on. Ormond Energy is a family owned and operated company that offers the support of a large supplier and the service quality of a local business. Take the hassle out of heating your home. In one easy step, you can sign up for Automatic Delivery with Ormond Energy and rest assured that your fuel supply is in good hands. Our team will monitor your oil usage daily to anticipate when it is time for your next fuel delivery. It’s that simple! Customers that prefer to order heating oil on an as-needed basis can opt for Will Call delivery. 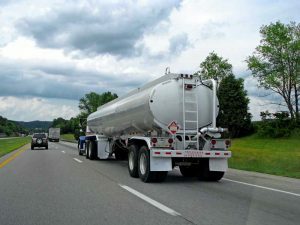 You will be responsible for tracking your tank gauge and scheduling deliveries appropriately. We recommend that you schedule your next heating oil delivery before your tank reads ¼ full. Want to learn more about becoming a heating oil customer or scheduling your next delivery? Contact our office today!